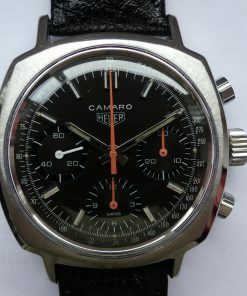 In 1967 to 1969 the Camaro Super Sport was the official "pacecar" of the Indianapolis 500, the most famous racing competition in the USA. 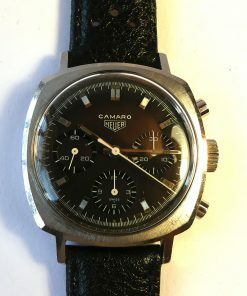 Heuer was interested in the American market and to adress a young and motorsports enthusatic targetgroup the name for a new model was obvious. 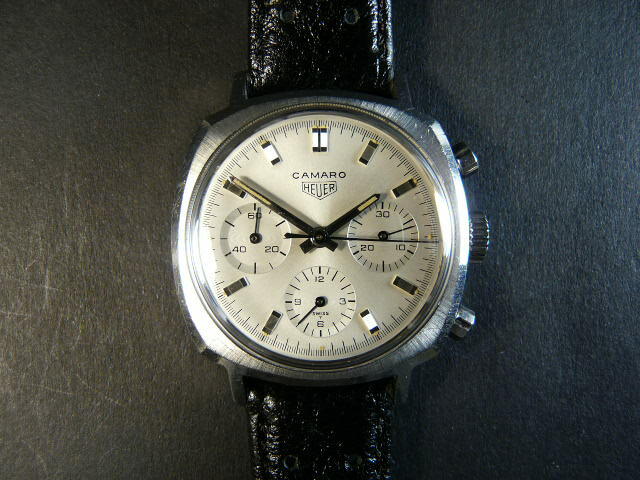 "Camaro" helped to develop new synergestic energies. 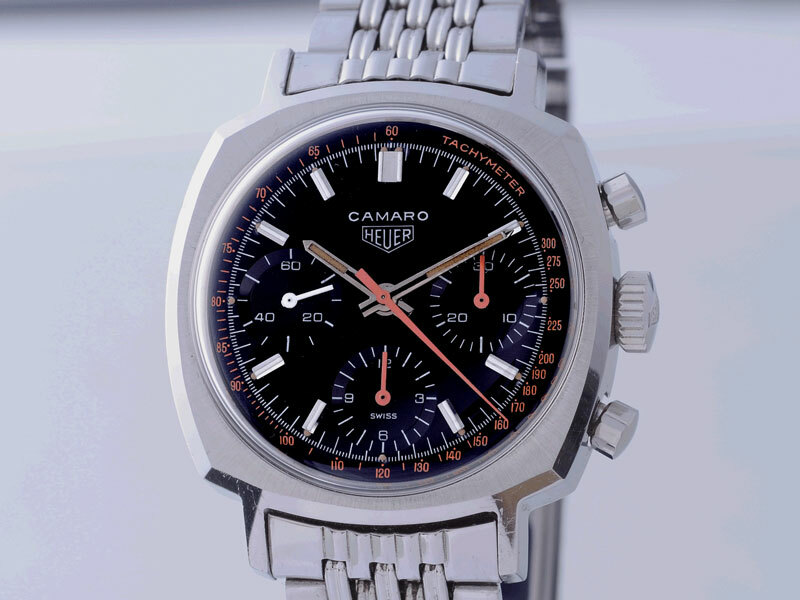 The core competence in timing great motorsport events helped provide the name Heuer with excellent publicity. 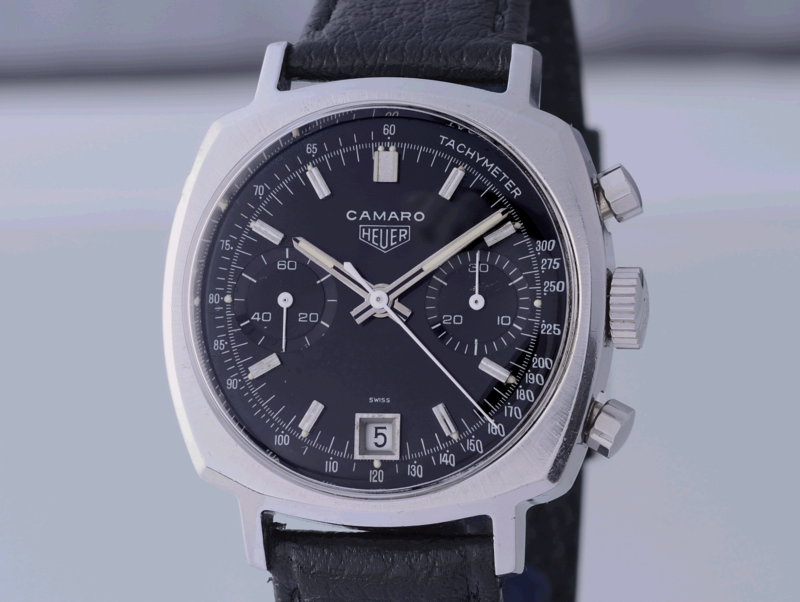 The production timeline was between 1968 and 1972. 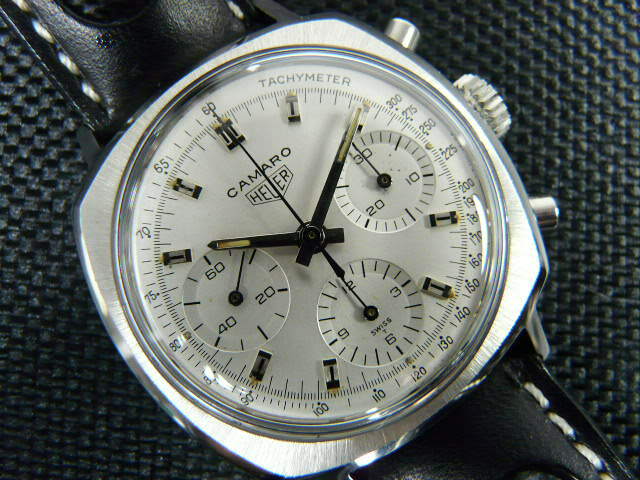 Already in the mid of the 1960ties Heuer intended to strengthen the positioning in the North American market. 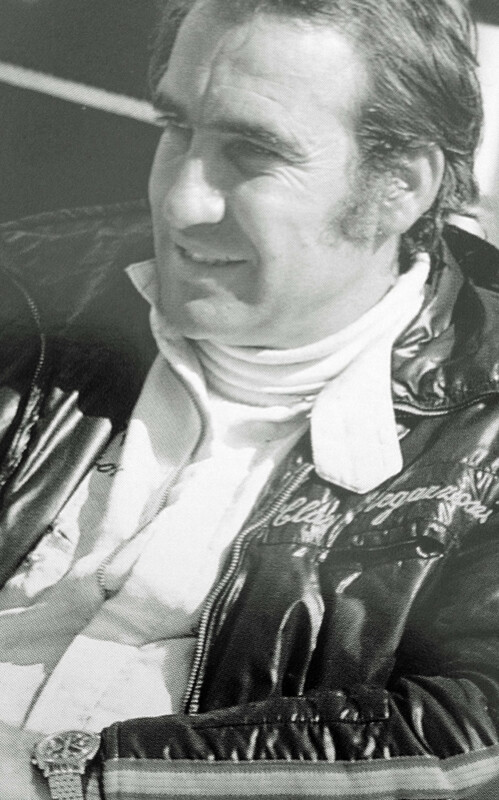 All of the other successful models were related to motorsport events, so it was obvious that motorsport should also be the topic for a specific model launched overseas. 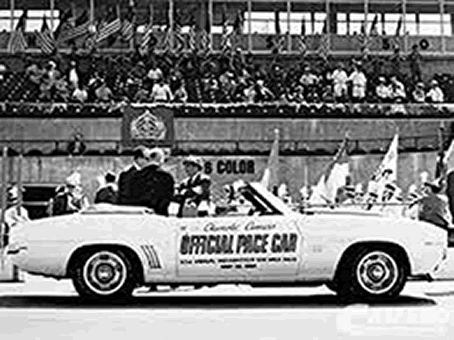 Indianapolis 500 was the most famous motorsport event in the USA and the Camaro sport car was Chevrolet´s answer to the successful Ford Mustang and became an icon within a short time. So, the new name was found. 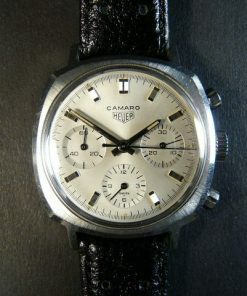 Heuer Camaro chronograph was a totally new product line with an avantgarde design. 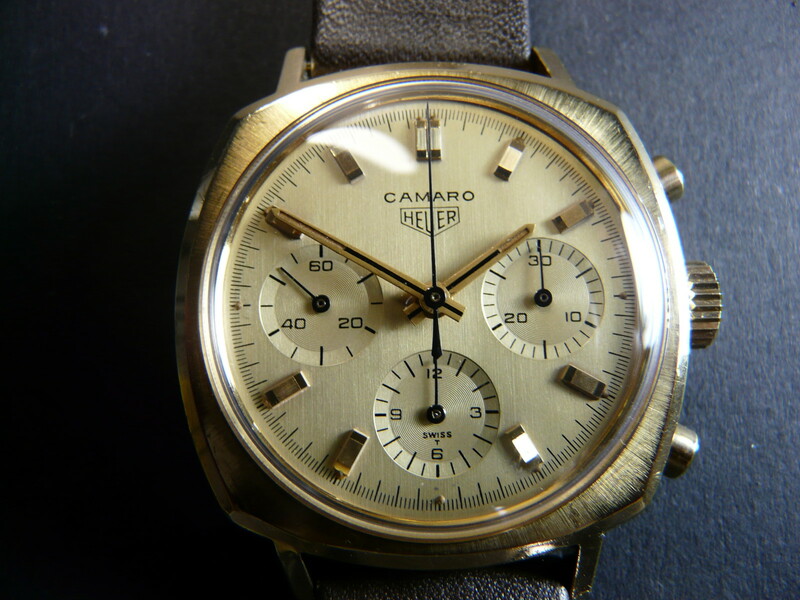 It was launched in 1968 and because it was within the timeperiod of developping the first automatic chronograph, Heuer Camaro was the last launch of a manual winding chronograph and not designated for an automatic calibre. 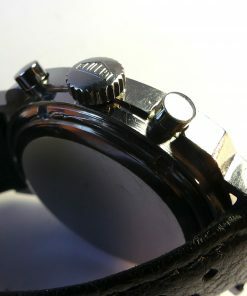 Only Valjoux manual winding movements provided the basis for the watch with rectangular case and concave sides. The production ended in 1972.